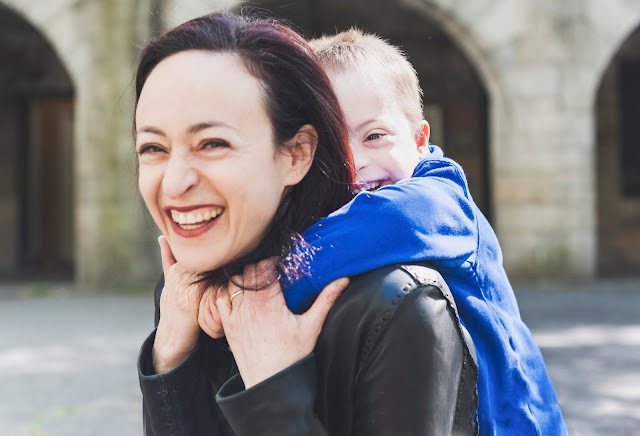 Columbia University professor Rachel Adams is the author of the just released Raising Henry: A Memoir of Motherhood, Disability, and Discovery about life with her son Henry (above), who has Down syndrome. Here she talks about her hopes and fears as Henry starts kindergarten. When the box of shirts arrived, each sized "XS" and embossed with the logo of our son’s new school, my eyes teared with happiness as I pictured him getting dressed for his first day of kindergarten. Starting kindergarten is a huge milestone for any child, but for my son Henry, who has Down syndrome, it is an especially momentous occasion. My husband likes to say that we’re sending Henry to the best school for a person with Down syndrome anywhere on the planet, ever in all of human history. When he says this, he’s being only slightly hyperbolic. The bar is set pretty low. It was long believed that people with Down syndrome couldn’t learn anything beyond the most rudimentary forms of self-care. As children, they were often sent to institutions where, absent proper medical care, teaching, and intellectual stimulation, they tended to live up to predictions of their limited capacities. Until the passage of the landmark Individuals with Disabilities Education Act (and its precursor, the Education for All Handicapped Children Act), many states barred children with disabilities from public school. We can’t imagine a better capstone to this sad history than sending our son to a school that specializes in inclusive education, using individualized programs to integrate children with many different learning styles and capabilities. Excited as I was, those school uniforms also filled me with anxiety. We’ve already tried inclusive education and we know how hard it can be. In his first year of daycare, Henry was assigned to a mixed age group with children anywhere from 6 months to 2 ½ years. Because everyone was at a different developmental stage, it was hard to tell who was delayed. He spent much of his day reading books, dressing up, cooking, going on walks, and doing art projects. Most of the time, we could enjoy the sense that Henry was just a typical child, like the others in his class. But then there were moments when I was reminded of his disability, sometimes painfully so. When Henry first tried to play at a sensory table filled with sand, I was dismayed to see him lean over at a 90-degree angle, his face just inches from the pile. The other kids seemed to know intuitively how to stand upright as they dug and poured. Another bad moment came on curriculum night. The teachers put together a lovely film showing us what our children did all day. I was pleased to see clips of Henry reading, playing doctor, and stacking blocks along with his classmates. But the soundtrack made my heart sink. The other children could be heard babbling and talking, while the only sound Henry made was a loud, incessant “ah.” I left quickly after the film, unable to mingle with parents whose biggest worry was that their kids didn’t want to nap or eat green vegetables. With time, Henry’s differences became more apparent. When he moved to the preschool room, the age range was narrower and his delays more noticeable. Unlike most of his peers, Henry still had impulsive behaviors like eating Play Dough and throwing toys. By then he could speak a few words, but nothing like the torrent of language I heard from some of his classmates. He loved the other children, and loved being part of a group, but he had troubling knowing how to join in. None of this surprised his teachers, who took it all in stride. 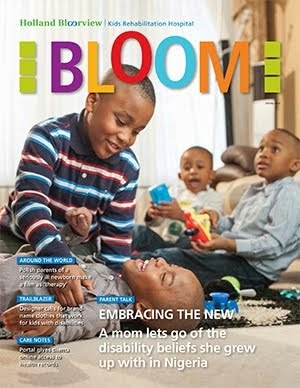 But I still had my moments: the jolt of sadness when I saw the quotes from students who could talk well enough to describe how it felt to plant a seed or my dismay when I overheard the other parents arranging play dates for their children. The challenges of inclusion weren’t just about my anxieties. The school that had been so welcoming of Henry’s differences also had a strict age limit, and we were told that he would need to graduate along with his classmates regardless of where he was developmentally. Knowing that Henry was not at all ready for kindergarten last year, we moved him to a new school, where he spent a year in a special-ed classroom. Our experiences at daycare drove home the real benefits, but also the difficulties, of inclusive education. In its truest form, inclusion doesn’t mean everybody can, or will, be expected to do the same things. It’s not about dumping children with disabilities into a typical classroom without proper support. Inclusion requires an environment designed to accommodate children of many different backgrounds and abilities, and teachers who recognize the learning opportunities provided by those differences. Research has shown that everyone benefits from programs that are creative and flexible enough to accommodate disabled and nondisabled students. Kids with disabilities learn from the modeling of their nondisabled peers, while typical students are taught about patience, cooperation, and sensitivity toward others. The point isn’t just that disabled and non-disabled students can educate one another. All children learn in different ways, even those who don’t have disabilities or Individualized Education Plans. Everybody stands to gain from an inclusive classroom where the curriculum is designed to accommodate varied learning styles and abilities. Inclusion is also hard work, and it isn’t the best option for everyone. When disabled children learn alongside typical peers, their differences become more visible than in an environment where everybody has a diagnosis of one kind or another. As they get older, and the academic and social challenges increase, some kids with disabilities find inclusion stressful and discouraging. Many students who were successfully included in elementary school end up transitioning to more specialized middle and high schools. All of this was on my mind as I prepared for that first day of kindergarten. I worried about whether Henry would be able to keep up, how his teachers would manage his learning style and pace, and, most of all, whether he would make friends and be accepted by his peers. At the same time, I tried to remember that inclusion isn’t just about making a place for my disabled child. It’s also about what he has to contribute to his school community. Now that we've survived the first week, things seem to be going well and I'm feeling optimistic. I’m eager to see how Henry's teachers respond to the challenges of modifying their curriculum to meet each child’s needs. I hope I’ll form bonds with other moms and dads around the many joys and struggles of parenting that have nothing to do with ability or disability. Most important, I look forward to seeing how Henry learns from his classmates, and how he teaches them, at a very formative age, the value of diversity that extends beyond gender and skin colour.